Doing batch image editing and conversion just got faster with one of reaConverter’s most convenient features: Advanced File Selection. 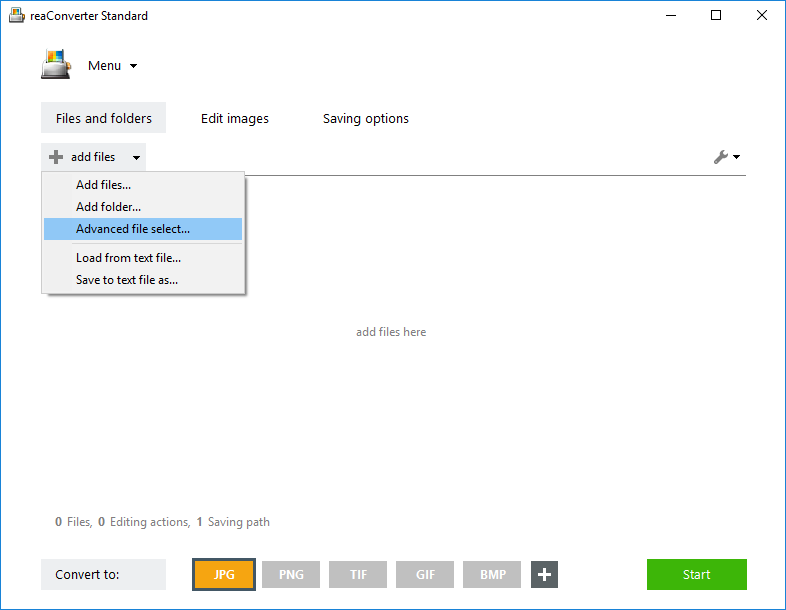 When you have a large number of images to work with and you only need to select a few, you can now save the time and effort of adding them one by one, and instead pick them according to their extension. 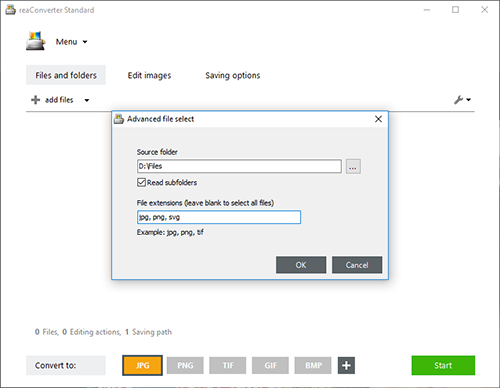 For example, you can choose to automatically select only the JPEGs and the PNGs located in a certain folder or subfolder. Applying this feature only takes a few clicks and can help avoid hours of tedious manual image handling. Select the source folder where the images are located. Here you can also tick the Read subfolders box for a more comprehensive search. Next, insert the file extensions you intend to operate with. You can write one or more from the extensive number of formats supported by reaConverter. Click OK and all your desired images will appear in reaConverter’s main window, so you can process them further. Proceed to the Edit images tab and add one or more from the extensive set of features available. From resizing and rotating to watermarking or lens correction. Finally, go to Saving options and pick the destination of the output files, as well as their extension to complete the conversion process.